The towns and villages around Chipping Sodbury may also be of interest to visitors to the area. 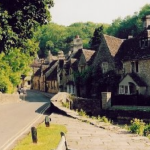 Castle Combe has been called ‘The Prettiest Village in England’ and with good reason; visitors have been coming to enjoy its charms for at least a century and the small street leading from the Market Cross down to the By Brook is as picturesque today as it ever was. Castle Combe’s history goes back much further than this though. The site of the castle is above today’s village, but little other than earthworks now mark its one time presence. Originally it was a British hill fort which became occupied by the Romans due to its proximity to The Fosse Way. After the Romans, came the Normans, who built the fort up into a Castle. Lacock Abbey and the surrounding village were given to the National Trust in 1944. 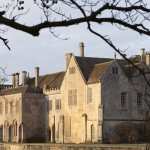 The Trust market the abbey and village together as Lacock Abbey, Fox Talbot Museum & Village. The Abbey located in the centre of the village was founded in the 13th century and dissolved in 1539. Later, it became a quirky country house of various architectural styles within its own woodland grounds. It was a home for the Talbot family, including William Henry Fox Talbot 19th century, famous for his contributions towards the invention of the photographic negative. His amazing achievements are celebrated in the Fox Talbot museum on the ground floor and the gallery above holds special exhibitions throughout the year. Wander through the Medieval cloisters, and 16th century stable courtyard, explore the furnished rooms and discover the 18th century Gothick hall. There are lots of opportunities to bring the family or friends and join in with our regular seasonal events, activities and trails in the grounds. Tetbury came to life with the growth of the Cotswold wool trade, and celebrates over 1300 years of recorded history. The thriving town boasts a wealth of architectural heritage, including its iconic market house, built in 1655 in the heart of the town. Meander down the medieval cobbled Chipping Steps where, for centuries, the ‘Mop Fairs’ kept the locals gainfully employed. 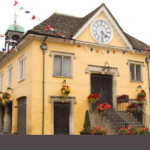 Enter Tetbury’s Heritage Centre in the original Court House, featuring the story of the Gloucestershire Police Constabulary, which was founded in 1839 despite a petition from the locals! Wherever you are, you’ll see the skyline is dominated by the magnificent spire of the Parish Church of St Mary the Virgin. Bradford on Avon is sometimes described in guidebooks as the last outpost of the Cotswolds, or a kind of ‘mini-Bath’ – but such shorthand descriptions capture only a fraction of the charm and variety of this unique town. 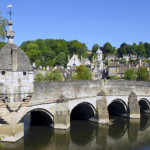 Once seen, never forgotten, Bradford on Avon is an architectural treasure chest. Its ranks of dwellings, from tiny weavers’ cottages to grand clothiers’ houses; handsome public buildings and places of worship and its ancient alleyways and modern estates, reflect the town’s development from Iron Age settlement to 21st century working town. Winding through it all is the River Avon – from the weir at Greenland Mill through the centre of the town, where the Saxons drove their carts across the ‘broad ford’ that gave the early settlement its name, and on past Barton Farm, the magnificent 14th century Tithe Barn and the country park towards Bath, Bristol and the sea.